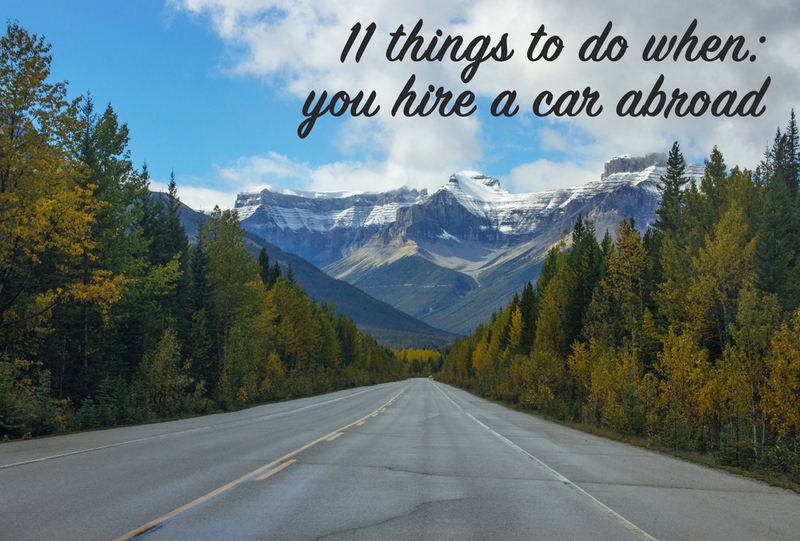 Renting a car for the first time while traveling (or even at home) can be a little daunting. We’ve all heard horror stories of people get stung by rental companies, but if you know what to look for you can make sure you’re covered. 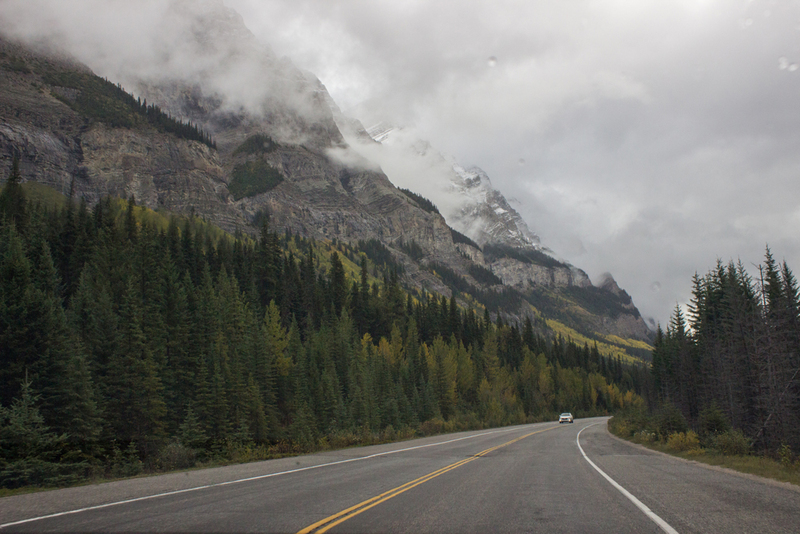 This blog post began life almost a year ago, when I was planning my first trip to Canada. 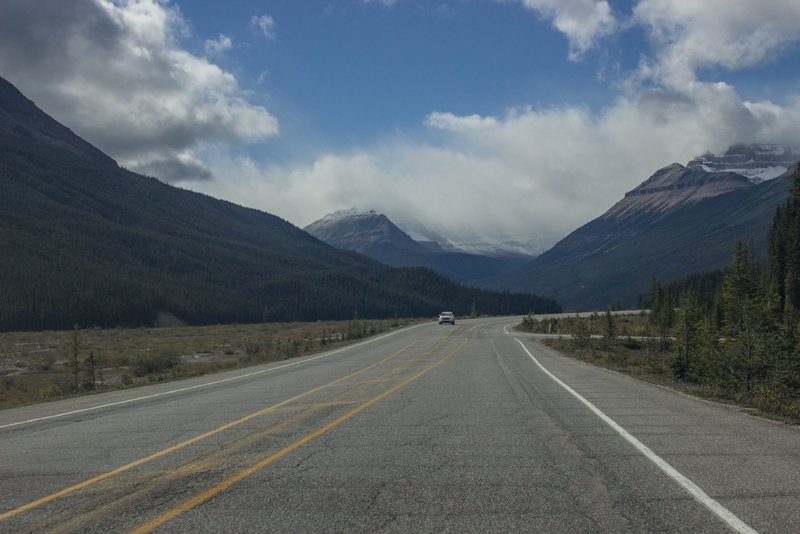 I knew I wanted to get to a lot of different places and while Banff and Jasper have good public transport, it wasn’t quite going to be able to cut what I wanted to do. Back then I had never hired a car before or driven on the ‘other side’ of the road. Both of those things were really scary to me, and in addition to that I was worried I would get ripped off somewhere. It all turned out perfectly fine though, so I wanted to share a few tips that helped me when I was looking to hire a car for the first time. Just remember that different places will have different prices. An American company will differ to a British one. So if you were looking at a car rental company like Aries Hire, which is a British company, then it will be different to an American one. How many times have you wondered, “When does anyone ever actually read the full terms and conditions?” This is one of those times that you need to read the Ts & Cs. I only discovered in some companies Ts & Cs that under 25s wouldn’t actually be covered by their CDW, despite their website saying I would be covered with it when I asked for a quote and even included my age. I think that’s pretty bad practice and very sneaky, but you will be the one who gets stung if you have an accident. Luckily, the Ts & Cs are not actually that long anyway and most of them were pretty well broken up, so it’s not a huge chore. 2. Will you be charged for crossing state or international borders? Something I also discovered in the Ts & Cs was that some companies will charge you extra to take a car out of state, province, or crossing an international border. I know, it seems ridiculous, but the last thing you want is either an unexpected charge when you return the car or being pulled over by the Police and arrested because technically you’re driving the car somewhere without the rental companies permission. If you plan on driving into another country, state, or province, check with the hire company first to make sure they will allow it and find out about any charges. Both Hertz and Avis told me they wouldn’t charge me extra to drive from Alberta into British Columbia if I was returning the car to the same location. 3. Are you going on a ferry? I actually discovered this a few weeks back when we booked our hire car for this summer. If you are going on a ferry you may need to let your rental company know. We’ve rented with Hertz who told us we need to tell them when we pick the car up and that there’s no extra charge for it. It’s probably worth contacting your hire company before you book to find out how you need to let them know in case you need to tell them before you pick it up. If you are under 25 years old, you will probably find yourself having to pay extra for being so darn youthful. Most quotes I saw were about $25-30CAD per day for under 25s. Be careful when you’re looking at prices because it seemed that most companies would give you a price to reserve / pay for the car in advance, but the young driver surcharge is an additional cost (like adding an extra driver, or hiring a GPS) which won’t be included in that price and you can’t pay for it until you pick your car up. There isn’t a way around this charge (apart from getting older). If you’re traveling with other people and want to save money, speak to the other people you’re traveling with and see how they feel about you not driving. It will be more cost effective if an under 25 doesn’t drive, but if you’re covering long distances it might be worth the additional cost. 5. Does the Loss Damage Waiver actually cover you? As I mentioned earlier on, at least one rental company’s website quotes will allow you to say that you are 24 or younger and will say LDW has been included in the price of your quote, and yet when you read the fine print, you aren’t covered. I emailed Budget to try and clarify this and they got back to me saying that I wouldn’t actually be covered and would be responsible for the first $5,000CAD in damage. Read the fine print, email or call the company and get clarification if you are unsure because you don’t need a horrible surprise like that. There are usually two fuel options; full to full or pre-paid. Full to full simply means that when you return the car you need to make sure the petrol tank is full. To compensate for that you should find that the car has a full \ almost full tank of fuel when you pick the car up. The pre-paid option means that you pay for whatever fuel is in the tank when you pick it up, and it’s best if you drop it off with as little fuel in as possible. However, you will probably find your rental company will charge more per litre than a petrol station will. Rental Cars has a useful guide to help you figure out what is best for you because there are advantages and disadvantages to both depending on what you’re doing. Handy tip: Do your research beforehand to find out where the closest fuel station is to the airport. Some airports have petrol stations, some do not. We discovered this the hard way because I’ve been away with friends before who have hired cars and the airports had petrol stations at them. Since Calgary International is a huge airport, I thought there would be a petrol station there. There is not. We had to hurriedly drive around trying to find one. When I started doing my research I found some prices seemed way too cheap to be true and that’s because they were. The initial price looked great but they’d not included the costs of other things (like CDW and LDW) that other hire companies include in their quote price. So, by the time these things were added on it wasn’t cheaper at all. You also don’t need me to tell you that the cheapest company isn’t always the best. Make sure you do some research or use a comparison website which has ratings and reviews from customers. 8. Have you got a credit card? Oh, this one really annoyed me. I don’t think this is standard the world over (because I’m sure a friend hired with a debit card before) but in Canada you cannot hire a car without a credit card. Some companies will let you book or pre-pay with a debit card but you must have a credit card when you pick the car up so they can hold money on it. I had never had a credit card and didn’t ever want one, but I had to take one out so that I could hire a car. I went into the bank, explained exactly what I wanted one for, and got the most basic one I could. While it is annoying to have to get a credit card specifically for hiring a car, it was useful in a way. The rental company will put a certain amount of money on hold in your account, which means you can’t get at it and it can sometimes take a couple of weeks for you to be able to access that money. Therefore, it’s useful for you to have a different card for them to hold money on, allowing you to actually use your debit card. One of the biggest fears when you’re driving somewhere new can be “how are we going to get from A to B without GPS?” Of course, you’ve got good old maps but if that’s not your thing there are some other ways to navigate without paying a hefty extra cost. If you already have a SatNav find out if it has maps for your destination. In the UK it’s quite common for SatNavs to come with maps for the UK and Europe, and some may also include faraway destinations such as the US or Canada as standard. If they don’t cover your destination, find out if you can download maps for your SatNav. We have a Mio and you can rent Canadian maps for 30 days for €20, much cheaper than hiring a SatNav off a rental company. If that isn’t an option, download Google Maps offline before you go. Google Maps is free and as long as you do it before you go, or while connected to wifi, you won’t get hit by roaming data costs. PC Advisor has an article explaining how to do this. You may also find that the place you’re going is so well sign-posted that you don’t need maps. We found that Banff and Jasper was so well sign-posted we only used the SatNav two or three times, and I think one of those was from the airport and the other was too the airport. Though, we didn’t really need it then either. Is there anything about the place you’re visiting which requires you to be extra careful, take out extra cover, or have specific things in your car? In Iceland, it’s wise to cover your car against gravel, sand, and ash because of the road and weather conditions. If you’re going somewhere very snowy, make sure you know where you can find information on roads that might be closed due to avalanche risks. In general, know where you can find local traffic and weather information. Find out about any driving laws that might differ from your home country, for example some European countries require you to carry a first aid kit or a fire extinguisher. The AA has road rule guides for over 40 EU countries, but you will easily be able to find road rules for whichever country you’re going with a Google anyway. Find out about any events that might result in road closures. Try to find out if you will drive on any toll roads and how you can pay for those so you have change or your card handy. The person on the desk will more than likely try to sell you something else, some other kind of cover like “OMG IT’S WEDNESDAY COVER! This cover protects you against Wednesdays.” (They have cover for everything.) Before you pick the car up, make sure you understand exactly what you’re covered against and what you’re not. If you’re worried that you’re not completely covered you can take out zero excess insurance in your own country before you go that will cover you completely, and will probably be cheaper. Make sure you give the vehicle a good checking over before you go and ensure all damage to the vehicle is noted on the contract and take photos of all sides of the car before you go. Similarly, do the same thing when you drop the car back so you can provide you haven’t caused any damage. Have you ever taken a road trip? Why I fall in love with places; what about you?